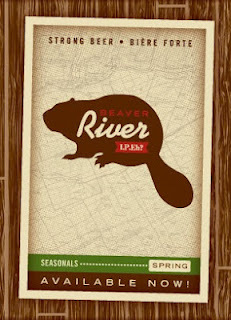 Hop heads be warned: the last batch of Beau’s All Natural’s Beaver River IPEh? has been brewed for 2012, and when stocks are depleted, the beer won’t be available again until next spring. The strong, hoppy beer, which won Gold at the Canadian Brewing Awards last year, is the best-selling seasonal Beau’s has produced to date. It is currently available on tap at many restaurants and pubsin Ontario, and in 600 ml single-serve bottles at select LCBOs as well asdirect from the brewery. In its placeBeau’s has begun to brew their summer seasonal Festivale, a quaffable,refreshing amber ale suited perfectly to long, hot summer days. Based on aGerman Altbier style, Festivale balances high-intensity maltiness withhop presence. It also won Gold, at the Mondiale de la Biere in Strasbourg, France. Beau’s willcelebrate the launch of the new seasonal with a brewery Patio Party SaturdayMay 19. On hand to help will be Ottawa publicans The Arrow and Loon, who willbe selling meals and snacks to visitors that afternoon. The brewery will beopen for free tours and tastings, and for those looking to make a day of it, theVankleek Hill May Show is also taking place on the Main Street in town. Bus ticketscan be purchased by calling the brewery or via the Beau’s online store accessedthrough the website: www.beaus.ca. Limitedtickets ($5) will also be available to locals at the door. Summer seasonalbeer Festivale will be on LCBO shelves beginning Thurs. May 17. In the meantimeBeaver River IP Eh? retails for $16 per 1.89L jug direct from brewery oronline, or $4.35 a bottle at select LCBO stores, the brewery and online, whilesupplies last.